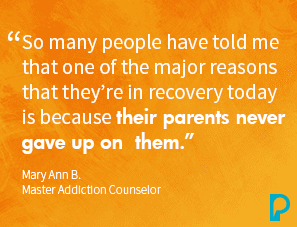 September is Recovery Month, and to us, it’s a time of hope and reflection, and also an opportunity to acknowledge the role that parents and caregivers play in the recovery story of so many. Recovery stories abound on our website, as our CEO, Fred Muench, recently shared his own recovery journey, as have many others as part of our Partners for Hope fundraising pages. Partners for Hope allows individuals to inspire hope through sharing personal stories, creating a memorial for a loved one or organizing a fundraiser for the Partnership. During Recovery Month, you or a loved one can become a Partner for Hope by creating a fundraiser and encouraging more families to seek the resources that they need.